If we are looking at how to lose weight, emotional eating can feel like an impossible thing to overcome. Most of us would recognise the experience of feeling bored, lonely, stressed and then choosing something to eat that is just not right for us, simply from a drive to feel better. "It is the sense of taste that develops our body shape -- you have a flavour of what it is like being you and you will become that. Make sure that you are the real you you are tasting and not the unresolved hurts you taste when feeling you, for the latter will not bring you the body you truly are." What most of us would also recognise is that the cake, cookie, pizza or chocolate only makes us feel better for a moment – the choice is usually followed by a wave of guilt, sometimes spurring on more eating to counter that feeling. What a truly vicious and horrible cycle. Most often with emotional eating, the urge to eat overrides our wisdom that it is not the right food for our health and wellbeing, or, that we do not need to eat as much food as we do. At these times when we reach for the food (the outside object that we see as the solution for our woes), what are we reaching for? Do we reach for food as an artificial sweetener for life? Do we eat because we want to feel full? Do we eat because we don’t want to feel our feelings? Do we eat as a way to not feel bad? Do we eat to get through life? In reality, all this eating will never work – it is not the answer to our woes. 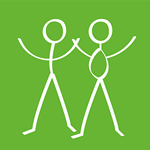 If you want to know how to truly lose weight, what we propose here is that you need to make a true connection with yourself. This is also a way to take command of emotional eating. When we make a true connection we will feel a true fullness that will not need to be filled by anything other than itself. It is possible that with this connection we will be able to feel and acknowledge our feelings and not be overwhelmed, and we will no longer need to eat because we feel bad. Is it possible to stop emotional eating and make a different choice?
. . . To choose you, not food?